James King Interview with Bruce Duffie . . . . . . .
A lot of famous people grew up in major cities or large metropolitan areas, but some very significant individuals hail from The Heartland — The Midwest, The Corn Belt, the center of our country. One such artist is James King, who was born in 1925 and grew up in western Kansas. His major career — once it got going — took him all over the world, mostly to major cities with important opera houses. He also made many recordings on various big-name labels, and eventually spent almost twenty years teaching at Indiana University. Details of his distinguished career can be found in two obituaries at the bottom of this webpage. Names which are links on this webpage refer to my interviews elsewhere on my website. At the very end of 1988, King was at Lyric Opera of Chicago to sing one of his signature roles, Herod in Salome by Richard Strauss. The production also featured Maria Ewing in the title role and was conducted by Leonard Slatkin. We arranged to meet at his hotel between performances, and had a wide-ranging conversation about operas, philosophies, and vocal technique. Noting that my name was not spelled in the usual way, he inquired about my background, and we pick up the chat where I asked the reciprocal question . . . . .
Bruce Duffie: What is your heritage? James King: Irish and German. My mother was German and my father Irish. It’s a good combination, I think. My father was really the poet of the two, and my mother was the strict disciplinarian, orderly. Both were effective in my upbringing. My father was very conscientious about doing the right things, being well-mannered and living properly and right, although he had great problems himself in his own personal life. But he was a wonderful person. I don’t think I’ve ever met a nicer person in this world than my father was. BD: That’s a wonderful testimony. JK: My mother too, but she had a great deal of problems with him because he wasn’t very stable. As I say, he was the poet; he wasn’t really made for this world, I guess, but he was a wonderful man. BD: Are singers made for this world? JK: They have to deal with very practical things. Working out the problems of singing and getting your voice to working as it should for you is a very difficult thing! I don’t think there is anything in music that is harder to learn than to sing. We see it today with the scarcity of really great singers. You can find many fine instrumentalists who are basically above the average run of singers. There’s talent galore, but they don’t become singers. BD: So the vocal talent isn’t being nurtured? JK: They sometimes don’t become musically trained well enough, and they are not good enough in their languages. Pavarotti sings every night in his mother tongue, but we Americans, and the English and the Scandinavians have to learn these foreign languages, and we really don’t get much credit for it. There’s only one Italian singer that I ever heard that could sing in a foreign language and that was Cesare Siepi. I heard many of them sing. They try to sing French and they do a fair job, but there are mistakes, generally, in the French. It’s a totally different world from Italian, but we have to do it. It’s got to be right or they’re not going to engage us for certain things, and certainly not for recordings. Thank God I had a wonderful teacher at LSU in the forties when I started studying there. His name was Dallas Draper, and he insisted that I take two semesters each of German, French and Italian. I hated it at the time, but it gave me a basis that I am eternally grateful for! He himself was not such a good linguist, and he wanted to be sure that I made up for what he had missed. He was a wonderful singer and a fine teacher! He got me on the right track when I was doing really rather poorly. That basis in language really set me up for the world. Then I went into teaching after I got my master’s degree in ‘52. I taught singing at the University of Kentucky for nine years, until ‘61. BD: Could you really teach singing before you’d had the professional career? JK: I had such instincts for it and such an inclination to it, and I wasn’t really ready to shoot for the big time with my voice. I was still singing baritone. I don’t think I did anything marvelous for singers in those days, but I know I never hurt a voice; I am sure of that. I worked basically on freedom of function, which is vital to the development process of every singer, and I helped them. I knew a lot of repertoire for a young singer, and I could teach the general standard repertoire in Schubert and Schumann and Brahms and the old Italian things, as well as Fauré and Debussy. I knew enough songs that I could put my students on almost anything that they needed to balance out their repertory studies. I was a choral conductor, too, in the fifties, and that was also a blessing for my own work because it helped to strengthen my musicianship. BD: You have these basic patterns for all the singers, but is not each singer unique in their needs and development? JK: I think so, yes. I teach now in Bloomington at the University of Indiana, and I know that everyone that comes through that door is going to be something totally different. That’s one reason why a lot of voice teachers become almost a little paranoid. They don’t want to admit that they can’t solve all these problems that they face every day, so they say, “Come to me and I can handle the situation. We’ll make a singer out of you,” and they can’t. Teachers only really succeed with the fine students, those who really have the inclinations and the desire to become a singer, and this tremendous love for the thing. A voice student has to have this desire. You may be born with a voice, but if you don’t have that, you probably will never make it into the big time. BD: Do you find this love in many of your students, or just a few? BD: Was he right in his assessment? BD: Were you right in your assessment? JK: I think so. I gave it up and then suddenly all doors seemed to open for me; but it was really critical. I went through a terrible trauma in that period! I quit my job and I went out on a limb. Suddenly, there was a rich man who gave me three thousand dollars, which took care of me while I went to Europe to sing with the American Opera Auditions. I sang Tosca in Florence in 1961, and that gave me enough money to keep my family and me for four months. Soon, my agent in New York City said, “Get up to Berlin as soon as you can. They need a tenor to replace Sandor Konya. You could perhaps fill his spot.” So I went up to Berlin, had a big audition and they took me immediately. Everything just worked. BD: You were the right voice at the right time? BD: I wonder what would have happened if you had gone there six months previous or six months later? JK: It’s hard to say. The Deutsche Opera in Berlin had just been rebuilt then, and Jess Thomas was the star in Munich, so I don’t know. I would have had to look for auditions in other places, perhaps. But I was so lucky to get into Berlin! That was a great situation there with a wonderful ensemble! They had Evelyn Lear and Tom Stewart and Pilar Lorengar. We were singing together all the time, and some of the finest young American and European artists were there. They didn’t have so many guest singers. Gladys Kuchta, a wonderful soprano, sang everything from Isolde to Lady Macbeth! Fischer-Dieskau was there. I sang my first Don Carlo with Fischer-Dieskau. BD: You’re talking about a wide range of repertoire and styles, but today we think about how singers should only sing in one fach or another. JK: I was kept in my fach. They looked after me, I must say. The first year I was there I sang fifty performances. I came with only three roles in my repertoire — Don José in Carmen, Bacchus in Ariadne, and Cavaradossi. They didn’t do any Toscas, but that first year they had me learn Ballo in Maschera, and I had to relearn Carmen in German. Then in the summer I went to Salzburg, and was asked to jump in for Konya and do Iphigénie en Aulide of Gluck, which was a great opera. I’m sorry we don’t hear more Gluck in this country. It’s a fine work. JK: I must say, I don’t know Orfeo that well. I’ve only seen it a few times, but I know that it’s very effective. 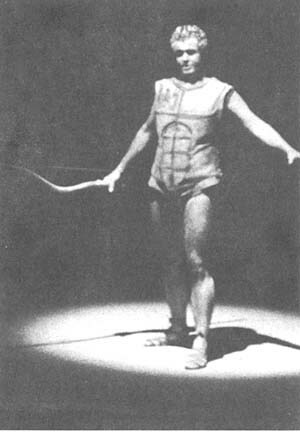 Iphigénie had Christa Ludwig, Otto Edelmann, Inge Borkh, and Walter Berry was Agamemnon. BD: You don’t get much better than that! JK: In those days it was with the tops, and Böhm was conducting. 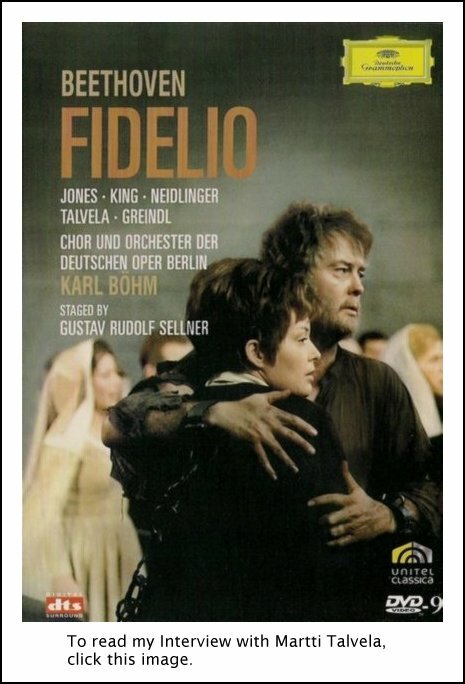 Then in the fall of that year, I did my first Florestan in Fidelio. BD: So little by little, you were moving heavier and heavier? JK: Mm-hm. I didn’t sing any Wagner until I was thirty-eight years old. 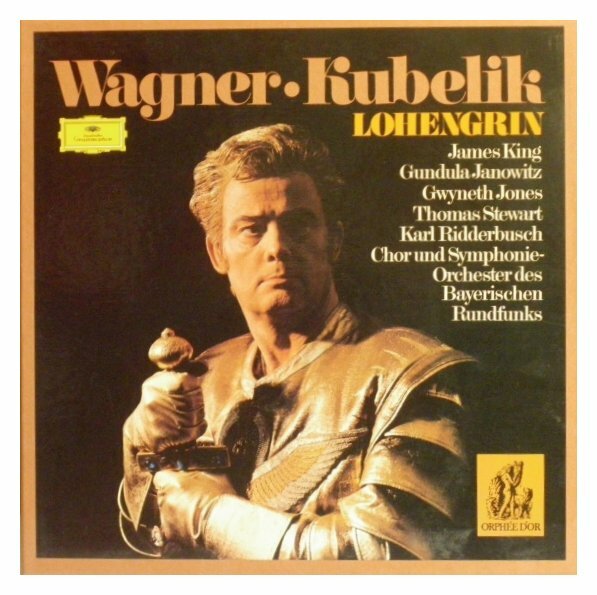 The following year, in ‘63, I sang my first Lohengrin, and then at age 40 I sang my first Walküre. That was my second Wagner. I was 42 for my first Parsifal and that year, too, I sang my first Flying Dutchman. I was about forty-five years of age when I sang my first Walther von Stolzing. I just sang it again last April and May in Hamburg. It still goes well, too! BD: Do you attribute the longevity of your voice to this kind of pacing? JK: Yes, I think that’s it. I never sang Tristan. My coach advised me not to sing it. He said, “Jimmy, you have the voice for it, but I don’t think you probably have the endurance. You’re too much of a go-getter; you give too much when you get out on the stage. I don’t believe that you’ll do Tristan without shortening your career appreciably.” So I never did it, although I wanted to. I accepted it a few times and then cancelled it. But I had these six short roles — Canio, Bacchus, the Kaiser, Florestan, Erich and Max. I was on stage about a half hour at most with these parts, and I sang them over a thousand times. They’re very difficult, but it’s not like being on stage with Tristan. Tristan is probably the most difficult role ever written for a tenor. It’s two Otellos in one evening. It’s really almost harder than Siegfried, even though Siegfried is perhaps a bit longer. But Siegfried is written so well for the voice. Tristan is written also very good for my voice, but you sit on those long-held high notes, especially in the second act. When you’ve sung the second act, you’ve sung more than you have in the whole of Otello. BD: Was Wagner nuts to write a part like that? JK: [Laughs] He was accosted by one of his associates at one time, and he said, “You can’t write this, maestro. No singer will be able to endure what you’ve demanded of him.” He replied, “I know, it’s true, but I have to do it.” I just sang the second act in concert in Bloomington in September. It went very well. I never did much more than that of Tristan, although I know the role quite well. BD: When you do just the second act, do you do it uncut, or do you still take a slice out of it? JK: We took the day and night cut, but it’s still almost as long as all of Otello. [Laughs] I’m going to do Otello next year and the year after next in Louisville. BD: When you get on stage, are you portraying the character, or do you actually become that character? JK: I don’t know how to answer that, exactly. Maybe it depends on your position from the audience whether I’m portraying it or becoming it. I try to become it, and look as convincing as I can in every role that I do. I want to make the role effective as well as to sing it well, but I also have to concentrate constantly on singing. If you sing something really well, that’s already a great deal. BD: Is it too much to ask any human being to sing and act and project? JK: And act, yeah. You get it all together from time to time if you have the desire and the understanding for doing it, but it’s a difficult, difficult process. BD: Let me ask the “Capriccio” question. In opera, where is that balance between the drama and the music? JK: Of course you have to try to sing well and you have to be sure that that’s working right, and that does take our minds’ being occupied in that respect. I have to watch the conductor sometimes. I can’t just stand there and sing for myself alone. I have to be in contact with the orchestra and with him. Maybe his tempi are a little different than my conception, and I have to adjust to that. I have to go a little faster or a little slower, maybe, than I’ve been used to. So it’s always necessary to be perfectly in contact with your conductor, even though you may be looking around trying to act. But you learn to cover up for it, to fake it, and to make it look like it’s intended to be that you look the way you look. BD: Are there some conductors who will try to conform to you, at least a little bit? JK: Oh yes, they do. BD: When you’re working on stage, do you take into account the size of the theater that you’re singing in, and sing differently for each house? JK: No, I don’t really. They say when you sing in a small house you don’t have to give so much. It’s not true. I sing the same way everywhere. I sing more acoustically than I do according to the size of the house. I don’t try to belt it more when I sing the big house, but I have a large voice anyway, so I’m usually lucky in that respect; my voice comes through pretty well. BD: You’ve sung a lot Bayreuth. Is that a particularly different acoustic because all the sound is coming at you on the stage? JK: It’s a wonderful acoustic, but I don’t think I sing any different there than I do at the Metropolitan or here in Chicago or San Francisco or Vienna. I sing the same way. Vienna is smaller, much smaller than here or the Met. BD: Are you conscious of the public that is there each night? JK: Yes, I feel that, of course, and I’m happy to sing for people. BD: What do you expect of the public that comes to the opera, either once in their lifetime or night after night? JK: I don’t really expect anything. I hope that they will enjoy what’s going on, and enjoy what they’re hearing. I don’t think in this world there’s anything more wonderful than opera. BD: Not even lieder recital? JK: They’re something, too, but opera is this whole conglomeration of different elements that goes to make it. It’s something so special. A lieder recital is in some ways, maybe, more difficult. I think it’s a disaster in our time to see the way the lieder recital has died! It’s a disgrace in our culture, and also in Europe, that you can’t sell a recital today unless it’s by some star or some enormous name. We have let a great element of music, of the musical culture die, and I think this is really a very serious and tragic thing. BD: Is there any way to get it back, or is it lost forever? JK: It’s for people to recognize the fact that the art song is one of the great elements of the music culture of our society, and to let that just vanish shows the superficiality of people who really indulge in music. They want the big show, the big flash in the pan, the big noise, the loud sound and the high Cs, and they don’t think what it is to sing a simple song. BD: Do they really want all of this, or are they really just expecting a big name and letting that big name carry it? JK: I think partly that’s what they want. Actually I think people today take what they’re told to take. BD: They are led like sheep? BD: Can we herd them back a little bit? JK: I would hope so, but this happens, I think, in our educational systems. Unless people get more aware of the value of theater and the musical arts, we’re heading for more trouble. I don’t think our pop culture is doing anything for us, really, except giving people certain diversion. I can’t see much in it, although I do like pop music of the past. BD: Let me ask another balance question. In opera, where should be the balance between the high artistic achievement and an entertainment value? JK: Opera is entertainment, too; there’s no doubt about that. Wagner wanted that himself. Even with Parsifal, as serious as that was, he still was cautious to make the thing something that the people would enjoy seeing as well as philosophizing about. There has to be the element of entertainment in any opera. You go there and you enjoy it, and you say, “Oh, isn’t that beautiful? Isn’t that wonderful?” I was listening to an Aïda rehearsal a few hours ago, and I enjoyed sitting back and hearing the wonderful way that Verdi had combined simply those beautiful melodies with these rather simple accompaniments. There’s something so ingenious about it, to think that one man could pull that off. BD: Is it easier or more difficult for you to sit in a theater for a role you know, as opposed to a role that you’ve never sung? JK: It makes me a little edgy, because Aïda I’ve done maybe fifty times. I did a lot of Verdi, which I’m very glad I did. It blessed my work to have to stay with the high stuff as long as possible. But I can tell if a singer is having a problem, or if things are working well for him. I get that immediately. BD: I just wondered if it was easier for you to be at an opera you’ve never heard before. JK: No, it’s about the same. I don’t think there’s much difference in that. It’s not a matter of being easy or difficult. BD: Your voice dictates which roles you will sing, but within that range there are so many that you have to choose from. How did you decide which roles you would accept, and which roles you would turn down? JK: I probably should have done a little more than I did. I was somewhat too conservative, but I’ve picked things that seemed to be right for me, and that I was guided into doing. Actually I was commissioned to do them with engagements, or I was asked to sing something that was new. I remember when I got my offer to do Meistersinger, I had never done it and San Francisco wanted me for it. It was two years in advance that they made this offer, and I said, “Well, I’ve got to do it someday anyway,” so I learned it. But I was forty-five years old at least when I started working on Meistersinger and Otello. I learned Otello in about three months, but it took me eight months to get that Meistersinger down. That is something, although they are both about the same length. The tenor part in Meistersinger, the Götterdämmerung Siegfried, and Otello are all about the same length. The young Siegfried of Siegfried is really a monster. It’s a little bit longer than Tristan, but Tristan is the hardest because it puts more stress on the voice. Siegfried is wonderfully written for the voice! I only sang the last act of the young Siegfried, with Bernstein a few years ago. BD: Did you learn the rest of the part? JK: No, I never did. Never did Siegfried. I’ve stayed with these heavy things which were shorter, and I’ve really been blessed by it. It’s good to have your laurels when you get old; I’m sort of the grandpa of tenors today. I’m a little younger than Jean Cox and Carlo Bergonzi, who are still singing. They say Cox is still singing quite well in Germany today; he’s a good pal of mine and he did incredible work. He sang Siegfried more than any tenor I knew. BD: Which role did you sing the most? JK: Bacchus, close to four hundred and fifty times. BD: Did you like that character? JK: Well, it isn’t all that interesting, really. I like it, but I’d much rather do something with a little more meat to it. BD: Did Strauss write well for the tenor voice? He’s always lambasted about that. JK: They said he didn’t like tenors, but I see distinctly that he didn’t really understand tenors. That’s my attitude about it, and I think I’m not wrong. He didn’t seem to understand a lot of things about voices. What he asks of the sopranos in Frau ohne Schatten is ridiculous almost, and the Amme in Frau ohne Schatten is, without any doubt, one of the most difficult roles musically that was ever conceived. I don’t think Schoenberg is as hard to sing as the Amme in Frau ohne Schatten, and probably as Herodes is in Salome. Musically, Herodes is the worst thing I’ve ever tackled! I cannot get through it without making a mistake somewhere, and I’ve sung it now close to twenty times. JK: [Laughs] No, no. I’m in the same boat with all the other tenors who do it! Robert Tear told me he sang it nearly fifty times before he did it without making a mistake. So I’m not the only one. I know they all have trouble with it. It’s musically so unsettling. BD: How many Strauss roles have you done? JK: I’ve sung eight Strauss roles. There’s the role in Daphne, and I did the Rosenkavalier Sänger when I went to Berlin. That was my debut there, and I sang it about a dozen times in that season and the successive season. Then I did Frau ohne Schatten over two hundred and twenty times not only at the Met, but also in Europe. I did not sing Narraboth on stage, but I did learn it once to sing it. I never got around to do it for some reason, and then I was asked to record it with Leinsdorf and Caballé. BD: Which was surprising. I would think you would have done Herod at that time. JK: They asked me to do Herod and I didn’t want to do it then, and so they gave me the Narraboth and it went very well. JK: Not really, no. I suffer a little bit on recordings. Birgit Nilsson said this, too. She said, “Jimmy, we have these heavy voices, and the microphones immediately turn us down when we sing a little bit too loudly.” It’s automatically done, and unless they go through those recordings and adjust the volume of your voice, you sound just like the others. I remember the only time I ever had a high C on a recording, except for the Frau ohne Schatten, was Butterfly, which I recorded with Maria Chiara. I also recorded the Butterfly duet with Anna Moffo in the Olympic year in Munich. In both of them you can’t hear my high C.
BD: You’re working real hard to have it come out. JK: Yeah. Technically they didn’t spend enough time on the recording to get those balances right, and so I was rather unhappy about that, although I’ve sung over six hundred high Cs on stage. In Turandot I did it sixty times. There’s two high C’s in that, and I always sang them both. BD: Let’s turn it around. Are there some recordings that you’re very pleased with? JK: I think my Lohengrin is pretty good. BD: [With a gentle nudge] Just pretty good? JK: I know I sang well, but on recordings I never felt as good about myself as I did when I heard simple takes from live performances. It seems like the commercial industry does something, especially to the heavier voice. You don’t get the natural sound. BD: So you’re a singer we should really experience in the theater? JK: Yeah. When I sang with Anna Moffo, I know she has a light voice, yet she sounded almost bigger than I did on the recording. BD: Does that make recording a fraud? JK: I wouldn’t want to say “fraud” because I love the recordings. I’ve gained immeasurably from them, and they’ve done a great deal for me personally. In the world, I’ve become known through my recordings, but there’s nothing that replaces a live performance! People ought to get out of their houses and go to the opera to hear the real thing with the real sound without amplification. Amplification presents the voice in a different way than it really is! In that way, it is kind of a fraud. That’s an ugly word, fraud, but I have to say that you don’t hear the natural voice if you hear it over an electronic system. You have to get into the opera house or the concert theater, and hear that voice purely naked on the stage as it really is. Then you know what it is. BD: Do you ever feel you’re competing against your records, or others’ records? JK: Maybe, but it doesn’t worry me; it doesn’t concern me that much. I believe in the live performance. For music, that is the only thing, really. It’s like electronic organs; what a totally different world that is from the normal pipe organ! It’s a totally different thing. A great organist would ridicule playing on an electronic organ because it’s just another thing. BD: They’re getting better and better, but they’ll never be the same. JK: No. They’re too perfect, for one thing. They have exactly the right number of vibrations for every pitch. An organ is a little out of tune here and there, but it gives more life to the thing. BD: Is that the same problem with recording — they’re too perfect? JK: Maybe, maybe. They’re less human. BD: You mentioned that you were perhaps too conservative. Are there some roles that you wish you had sung? JK: Yes. I wish I had done Tannhäuser, and I wish I had done Forza del Destino and Andrea Chénier. I would like to have studied Russian, but I never got into it, and I would like to have done Pique Dame. I think that would have been a great part for me. Those four parts I’m sorry I didn’t get to do. BD: Maybe you will still get to them. JK: [Laughs] Well, I don’t know! BD: I assume there are a couple that you are learning yet? JK: No. I haven’t taken on anything new. I did learn a new Strauss role this year, and I made a new recording of Notre Dame by Franz Schmidt. The part of Phebus is a beautiful role. It’s the Notre Dame story with Quasimodo and Esmeralda, and there’s some beautiful stuff in it. Gwyneth Jones and Kurt Moll were also in the recording. We did it in Berlin in July, and it should be out in the next three to six months. It’s the only time the opera’s ever been recorded. It was composed about 1904, in the time of Debussy, in that art nouveau period. Also Salome is right around that time. BD: What was the new Strauss role? JK: That was King Pollux in Die Liebe der Danae, and we did that in Munich in the summer. It was a smaller part, but a good part. I enjoyed doing this demented old king. Gian Carlo Del Monaco staged it and Sawallisch conducted. BD: You’re known for several Wagner parts. From your point of view, did he write well for the voice? JK: It’s wrong to say that Wagner will hurt the voice. If you have the voice for Wagner, the German tenors and sopranos seem to last longer than the Italians do! The Verdi tessitura is a killer today, with the high pitch that we have. We have four hundred and forty-five A in Vienna now. JK: Yeah, mm-hm. They’re talking now about trying to get it back down. In Schubert’s time I believe it was four twenty-eight, and in Bach’s time I don’t know what it was, but they think it must have been lower still. BD: They’ll never get the fiddle players and the wind players to agree to lower the pitch. JK: That’s why they raised it in Vienna, because it made the strings sound so much better, more brilliant. BD: It’s a brighter sound, and yet it is different on the voices because they have to sing so high. JK: It is OK if you have a naturally high voice, but some people don’t. They have good voices, but a little short on top for the pitches today. BD: We should invent a new fach, and call it “mezzo-tenor” or something like that. JK: What we need is good new operas. That’s the thing. We’re lacking in this field, although they say there have been over forty-five thousand operas written in history. It’s amazing that we have so few to pick from today that really go over with the public. BD: How can we get more of them presented on the stage? JK: You can’t get the public to go out to see something that they don’t know, sometimes. For example, Die Tote Stadt of Korngold, is an opera that has really enthralled me! I don’t think it’s as great as a great Wagner opera or a great Puccini or a great Mozart, but it’s excellent and the story is exciting. I don’t know why we don’t produce it. I would like to see Maria Ewing do that; she’d be ideal for it. I’m doing it at the end of June in Vienna, but even there, they’re only doing three performances. I think this opera ought to come into the modern repertoire. We should be doing that in America. BD: What advice do you have for someone who wants to compose an opera these days? JK: Get a good librettist first. That’s really so important! Find someone who can write the proper story and put it in the proper situation to give us a high quality libretto. You need a story that is interesting and developed properly, that the composer can take and the two of them work together to produce something effective. I’ve never quite gotten in with modern music and the wild ways that they write. I’m perhaps a little naïve still in that respect. I have tried, as I’ve tried to learn to appreciate pop music today, but I don’t appreciate it at all. It’s something else from the serious music. I don’t go along with quarter tone music; I don’t think we are going to achieve anything there. We’re just sort of coasting along in this time. I don’t think we’ve really accomplished anything since the development of the twelve-tone system of Schoenberg. I don’t really believe we’ve developed pieces or operas which really are going to have public effect. So back to your previous idea — is it really entertaining or is it just something philosophical? I think it’s neither in so many cases. BD: Could it be both? JK: It’s a problem today, because they’re always trying to do something different. BD: We seem now to be exploring minimalist music — John Adams, Nixon in China, and works by Philip Glass. JK: I haven’t seen those. BD: We had Satyagraha by Philip Glass last season. It was very effective on stage. JK: I really don’t know what to say. I just personally haven’t gotten into it. I can’t commit myself totally to it. I did Schoenberg’s Moses und Aron once. I did the Junger Mann conducted by Hermann Scherchen, and I remember he asked me to enter six bars later than I’d been told to enter by the stage director. I came on stage for this little aria in the last act, which is difficult; it’s two pages of music. It’s quite a bit of singing, and he’s the one that defends Moses, who’s up on Mount Sinai working out the ten commandments. So I came in my six bars later, and Scherchen had given me the cue to begin already. JK: I looked at him, hoping to get the second phrase, but he didn’t give it to me. He just stuck his head in the score and kept conducting the orchestra without looking back at me. So I started singing, and sang the whole aria four bars late. Nobody knew the difference. [Both laugh] Can you imagine? BD: Was it in a rehearsal or a performance? BD: There was no prompter to scream at you? JK: There was a prompter, but he didn’t know what to do either, I suppose. He couldn’t have changed anything. BD: Let’s go the other direction. Do you sing any early music — Monteverdi or Cavalli or others from that era? JK: Yes, for the last three years I’ve done Monteverdi’s Ritorno d’Ulisse. I did the Jupiter, Jove, in Salzburg two seasons and in Maggio Musicale last year in Florence. BD: Is that glorious music to sing? JK: Not glorious, but very good. I enjoyed it. We did some rewriting of it to make the singing a little more interesting than Monteverdi had written. Henze did the arrangement. I knew him personally, and I made some changes that I thought would make the thing more interesting. I rewrote some of it, and he accepted it and was in agreement. BD: [With amazement] And yet you wouldn’t dare rewrite a little Puccini just to make it a little more interesting! JK: No, no, no! I love Puccini and respect him highly, and of course, he loved Wagner, too. He admired Wagner enormously, as I do. I’m convinced that Wagner is the greatest opera composer by far that ever was. That’s my view, and not only mine, but many others, too. I think it was Paderewski who said that he considered Meistersinger the greatest artwork of all time. One could possibly say that. It is so ingenious. Tristan was the more revolutionary, harmonically. The whole harmonic system was something so incredible; it was an iconoclastic event in the history of music. Meistersinger was a return to the older ways, and to the more strict conventional ways, as you know. Tristan has the harmonic progressions and chromatic progressions, and the diminished seventh chords, but I just adore Meistersinger. BD: Tell me a little about Walther. What kind of a fellow is he? JK: Walther is really not such an interesting role to play. He stands mostly and listens to people all evening. Although you have an enormous amount of singing to do, usually you stand in one spot and just sing. Only in the second act, where he comes in raving to Eva about what they’ve done to him — when she’s standing out in front of Sach’s house — does he really let go and express himself violently against these rules and regulations of these masters in the singing school they have there. The rest of the time he’s standing and singing so much. Of course, they do sit on a bench and reply and comment on what’s going on around them with Beckmesser and Sachs, when Beckmesser comes in to serenade Eva. Meistersinger is so incredibly designed and developed! The part of Hans Sachs is one of the great parts in all drama, I would say. BD: Was Wagner writing himself in Hans Sachs? JK: Didn’t he say that Cosima is Hans Sachs and Walther is Wagner? Wagner was the reformer, the one that was changing things, and Cosima was the one who was steadying him, keeping him on the right track, keeping him on the ball and not letting him get too wild or too radical. I get terribly touched when I see the death mask of Wagner. Have you ever seen that? BD: I’ve seen a photo of it. JK: I’ve just seen photographs, too, but when I look at it, he looks like a person who had thought that everything he’d done had been in vain, and that nothing had ever really made any sense at all. The look on his face is a man of total concern and disillusionment with life and the world. He had such instincts for what was good, though he must have been a real rascal, from all that we know about him. He couldn’t keep his mouth shut. Everything he ever thought he either wrote down or said, and he had such bad inclinations and instincts sometimes. But I think there must have been a great, great understanding of the good, too. I really feel this way. I was told that once he went out on a street in Bayreuth and sat down, and cried. He called out to God and said, “Oh, God. What is it all about? What are we doing here? What does it all mean?” He said he couldn’t make head or tail out of the whole situation of life and living. I’ve been often to his house in Wahnfried and Bayreuth. I even visited Winifred, the wife of his son, Siegfried. She was very nice to me and took me in a lot, but she was kind of a weird one, too. She herself had entertained Hitler. I didn’t accost her about the matter, but I was in a conversation once with a conductor who asked her what he was like, and she said, “Oh, he was so nice! He was so good to the children and he loved to poke around in the fire.” I thought, “Boy, oh boy!” I wanted to say, “If my own children had done that kind of evil, I would have said, ‘I’m sorry, you’ll have to turn yourself over to the authorities and receive your proper punishment, because it’s what you deserve... although I will still love you.’” It’s a very delicate thing, that whole situation with her. I could never understand it. But I had such great times in Bayreuth! I feel that Bayreuth has slipped, though, and I don’t understand why it has to be that way. They’ve got some singers there that I know are inferior. They could do better, and I don’t know why they don’t. I won’t mention any names but I’m very upset about what I see there. BD: Are you upset, or just disappointed? JK: Disappointed and upset, and so is everybody else that knows anything about singing. Of course, I don’t think there are many people today that really know much about singing. BD: So the art is dying out? JK: It certainly has to a degree, I believe. For example, in my field I know that there’s not one tenor today who has a heavy tenor voice, who sings the repertoire, who’s between the ages of forty and fifty, let’s say, which I call a young singer. Not a twenty-five year-old — a twenty-five year-old is a fetus — but between forty and fifty is a good young age for a tenor, and there’s not one heavy-voiced tenor that can sing the repertoire that Jon Vickers and I sang at that age, who is really right for it. BD: Is it just a lack of raw, natural talent, or lack of developing a talent that’s there? JK: I think the lack of developing the talent that’s there. I’m sure the voices are around. In Melchior’s day there must have been twenty or twenty-five German tenors who could sing Tristan in Germany. In Munich there were three in that house that could sing Tristan! BD: Speaking of which, you studied with Max Lorenz. Tell me about him. JK: Oh, he was wonderful, although Martial Singher was the teacher who helped me make the change to tenor. But Max Lorenz I met in 1964, when I was doing my first Walküre in Bayreuth. I went to him to get training and coaching in the role, and we really hit it off. He was wonderful, and I’ve never seen a person act roles any more powerfully than he did. He would demonstrate things to us and to me, and he was incredible, although he didn’t seem to have a voice that was as quite as big as mine, but I don’t have the biggest tenor voice either. I must say, I don’t consider myself a heavy dramatic; I am what the Germans call a more of a lyric dramatic. But Max’s voice was somewhat lighter than mine. It was not a Melchior sound, but he was the poet of heldentenors. They say, too, that his Otello is perhaps the greatest Otello in the twentieth century, although it was a German Otello. He sang it mostly in German. They said it was marvelous the way he handled the Otello, that no tenor ever did a better job because he was like a poet himself. He was brilliant in this way; he was a real born theater man. BD: Is there any way to give some of his ideas to the singers today? BD: I would think it would be easy just to get this back into the teachers’ minds and into the singers’ throats. JK: If you can, though as I said, teachers get so paranoid about teaching that what they should do is share their problems, and they don’t do it in these schools. BD: What advice do you have for teachers of singing? JK: [Sighs] That’s a big question. It’s practically impossible to answer, because teaching singing is, without any doubt, the most difficult pedagogical problem in music. I know personally that I could teach basic piano to anybody and they would improve in six months or a year if they practice a little bit. But I don’t know if I’m going to make these voice students improve, although I know what I tell them is good. I know that if they’ll follow what I say and show dedication to their work and work at the thing, they ought to get better. But it’s a slow, hard process. BD: Is that just the difference between having the instrument in the throat, vs. having the fingers on the keys? JK: Yes. You can’t see the voice, and every note is a little bit different, whereas with playing the piano, it isn’t. You’ve got to get your fingers working right, and that can be done. You can learn to play simple pieces in several months. BD: Why is working with the throat different than working with the hand? BD: [With a gentle nudge] Does it surprise some of the younger singers to see this old guy on stage still doing so wonderfully? JK: Yeah! I’ve been so blessed by all this. It wasn’t something wrong with my throat or my vocal cords, it was something that I was doing that was technically not quite right. Now I basically start the sensation of a yawn before I have something difficult to sing. The beginning of a yawn lets the larynx drop a bit, and that makes things work better. BD: Would that solution work for anyone else, or is it uniquely yours? JK: It should work, yeah. With every student, I work on this a little bit. BD: Tell me a little bit about Siegmund. What kind of a guy is he? BD: Is it a grateful role to sing? JK: Oh, it’s wonderful! There’s nothing any other composer ever wrote that tops it, I don’t think. It could be a little higher. It lies almost in a baritone range; that’s why some tenors really shouldn’t touch it. These tenors with lyric voices should not sing Sigmund because if they do it enough, it can eventually destroy the high voice. Jon Vickers and I had the natural voices for Siegmund; we had the natural low voice. The dramatic voice comes down big, as well as being strong at the top. I remember Richard Tucker — what a marvelous singer! His top was fantastic, but the lower octave was rather dry; it wasn’t so ringing and opulent. But the dramatic voice comes down strong in every area. That’s one of the natures of it. If you hear a woman who can sing up to high C like nothing, and she comes down to low B-flat with a big, strong sound, that’s probably a dramatic soprano. BD: So that’s what you’re looking for, rather than just pure strength? JK: Yeah. If the voice gives out on the bottom, then you know that it’s not a dramatic soprano. Even Sieglinde has a lot of low stuff to sing. It’s a role that not every soprano should tackle. It’s got to be a real spinto, or a youthful dramatic who has that natural low voice; otherwise she might do herself harm. Pushing too much in the lower and middle voice is not good for the high voice. The Italians of the old school would say, “Forget about the low voice. Just let it happen, but don’t push it.” Never push the low voice; then you don’t thicken the vocal cords and make it difficult for them to stretch thin to get the high tones. BD: It’s amazing, all the technical details that have to be known and remembered. Should the audience be aware of all these technical problems, or just listen to the sounds you produce? JK: It’s nice if they are aware, and I do know some people who are. I get fans who come backstage after performances, and they’re wonderful! Some of them talk to me about things that really amaze me, but they’re rarities. These are totally dedicated people who love opera and love to hear good singing, and they come back with all these record albums and programs and want all of these autographs. I think it’s wonderful! I really feel very honored and flattered, because I’m a lonely man out there in something that I can’t talk to too many people about. BD: You could talk to other singers, but that’s different. That’s shop talk. JK: Yeah, yeah. We need more education of this kind of thing in schools. I wish all of these school children from the sixth grade on could see a fine play once a month in their career. I think that would be a great thing, to have a state drama department which sends out a play to all of these high schools once a month. Let’s say that the school that has five hundred to a thousand students gets a play once a month. You see Death of a Salesman or Merchant of Venice, some Shakespeare or George Bernard Shaw. I think this could do such great things for our country! BD: Shouldn’t one of those plays be an opera? JK: Opera then would come eventually, but the thing is to get people to sit down, shut their mouths and be quiet, and listen to a good play done by live actors on stage. BD: [Laughs] I laugh because that’s the trick — getting them to sit down and be quiet for a couple of hours. BD: Let me ask you about another Wagner opera, Parsifal. Is this a sacred work, or is this just another opera? JK: It’s really another opera, but it has sacred leanings. It’s dealing with right and wrong, good and bad, good and evil, and it’s a wonderful thing! I’ve just been so joyous whenever I could do it. It’s a marvelous piece. That was the opera I did with Cesare Siepi in Vienna. He was the only Italian who ever sang a German role and really sang it well. He was brilliant in his work! 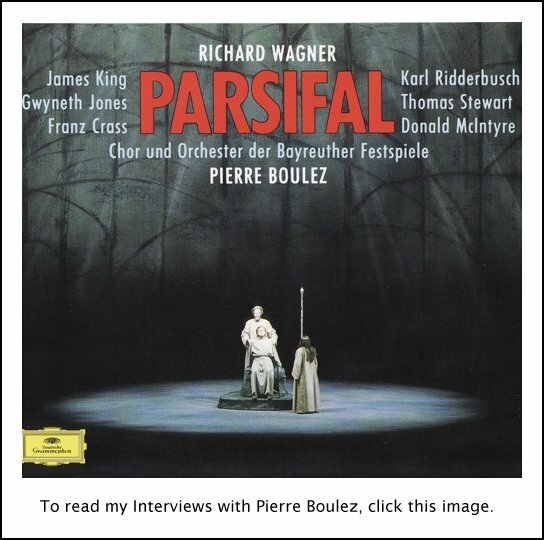 But Parsifal is something so beautiful, I can’t express my feelings as they really are. It goes beyond anything that I can verbalize. BD: What about Lohengrin? Does it approach that special level? BD: Should there be applause after Act I of Parsifal? JK: Oh, yeah. I think Wagner would have wanted it, too. BD: Let me ask about another role you have often sung — Florestan. JK: That is a difficult role. You have to sing both like a dramatic tenor and a very lyric tenor. BD: And it’s in the wrong order because you do the dramatic first and then the lyric. JK: Yes. You’re always switching, and it’s a difficult role to sing. BD: Is it a gratifying role to sing? BD: It doesn’t matter that you’re not seen for the first two thirds of it? BD: Do you pace yourself to make sure you don’t sing too many engagements in any one year? JK: Oh, yeah, but I’m not doing too much now. BD: I mean through your career, did you make sure that you didn’t sing too many dates? JK: I sang sixty to sixty-five performances a year on the average. Then with all the rehearsals and traveling, it was plenty. I tried to sing no more than twice a week and have two days between performances, always. If you’re doing Tristan, one a week is enough, I’m sure. You need at least three days for those vocal cords to settle down after a performance like that. Four would be better, or a whole week would be even better. BD: But you don’t want to let it go too long, do you? JK: No, no. If I’m not singing, I get a pianist twice a week and sing for an hour and a half. I start out with simple things like old Italian songs and Schubert lieder, and then when my voice feels it’s working well I get into difficult things. This keeps my voice fresh and ready to go. If I’m learning something new, then I’ll work every other day. I’ve got to get Billy Budd ready now, which I haven’t sung for three years. I’ve never forgotten it, but that’s going to be a big job. BD: It would be different to have a heavy voice sing Captain Vere. JK: Yeah. I think it’s ideal for me. I really feel good in it. It gives also more of a sense of authority. BD: Have you done Grimes? JK: No, I haven’t done Grimes. I admired so much Jon Vickers’ work in that. It was brilliant, the way he pulled off that role. I saw it on videotape and I don’t think I’ve ever seen a singer do a scene any more beautifully than he did that last scene in Peter Grimes. BD: We had it here in Chicago twice with him. It just knocked us completely away! JK: The acting, the total output of his, acting and the voice and everything, was something absolutely stupendous! I admire him enormously. JK: Yes, it is! It’s one of the most rewarding things a person can engage in, although when it doesn’t go well you can be pretty miserable about it. You want it to go well, and you want to have an audience, too. You want to do something for someone else. It’s giving and receiving simultaneously. I want to bring joy to those who are out there, and if I do, then I get joy for myself as well. It’s a wonderful experience to be able to do it. I thank God for it, that I’m able to sing and that I have had, through these two little vocal cords, this wonderful career. It is even more special having come from a simple family in western Kansas, where I was born and grew up. It’s been a great life. BD: I hope there’s quite a bit more in the career, and then of course, a lot of teaching. That’s something I look forward to — seeing and hearing the voices that you have trained and given these nuggets of wisdom to. Are you optimistic about the whole future of opera? JK: Now as I say, I don’t want to be sounding as if I’m blowing my horn, but I know that my voice has been in really in fine condition. I do look after it, and work madly to get things right and keep them right. That critic also said, “It’s really sad, what’s happening today all over Germany,” which is really the opera center of the world. They have the most opera houses. There are fifty opera houses in West Germany giving opera every night of the week, eight to ten and a half months a year! BD: So they need all the singers to fill these houses. JK: Even a town like Kassel, which has only three hundred thousand in its population, has a full-time opera house! It’s a town the size of Wichita, Kansas. BD: So why don’t we have the world famous Wichita Opera? JK: Right. Even in a town of one million here, it’s hard to find an opera house. But this critic said that it’s very, very hard to find anybody that’s exceptional today; they’re all sort of mediocre. Wagner said an interesting thing about this idea. He said, “The bad is really not bad, because we all know what bad is. It’s the mediocre that’s really bad, because everybody thinks it’s good.” I think that’s one of the greatest things he ever said, and he said so much! We should all read more of what Wagner has written. Whether you agree with it or not, there’s still something enormous to learn from it. He was something. He was really something, that old rascal! I can’t get over it. BD: [Being eternally hopeful] There must be a couple of shining lights today. JK: Yeah, there are good voices about. It’s hard for singers though, especially in America. They have to be traveling all the time! A man, when he gets to be twenty-five may want to marry and settle down and have a family and live a sensible life. If he’s an opera singer, he can’t do that. In Germany, you can. You can live in the town where you sing. You belong to an ensemble. You don’t make a lot of money, but you can have a living wage, get your social security and your retirement. You just sit there and maybe do a few guest appearances in other towns occasionally. It’s not like the opera houses in America where you sing in New York one night, next week you’re in Houston, and a few weeks later you’re in Chicago, a few weeks later maybe Dallas or Oklahoma City, and hotels, hotels, hotels. There is no family life. If you have a family then you’ve got to leave them for extended periods. It’s very difficult for American singers to have a normal life and be an opera singer. This is probably part of the reason — they have the voices, but they see that it’s impossible if they have any kind of a proper family life, and we all want a family if we can. You had one example here, Richard Versalle, who really is a fine singer. He and I alternated in Die Tote Stadt in Vienna two years ago, and he sang so well that he jumped in for Kollo in Bayreuth and did Tannhäuser when he was fifty-three years of age. No one had ever heard of him. Also, I think we expect too much from the young singers. I heard an audition of singers here the other day. The oldest one was thirty-three, and one of the judges remarked that he thought she was a bit old. I felt she’d sung better than any of them, and I didn’t think she was too old at all! But that’s my humble opinion. When they shoot for these really young singers, you do find, once in a while, a singer at that age who might be something exceptional. BD: Maybe the judge was thinking this singer was too old to start a career. BD: ...being a better musician? JK: Yes. You must be a musician to be a fine singer, learning especially this fine sense of rubato. That is the essential thing in being really musical — tempo and rubato; how fast and how slow to sing. BD: Thank you for being a musician. It’s been fascinating speaking with you. JK: It’s been a great pleasure. 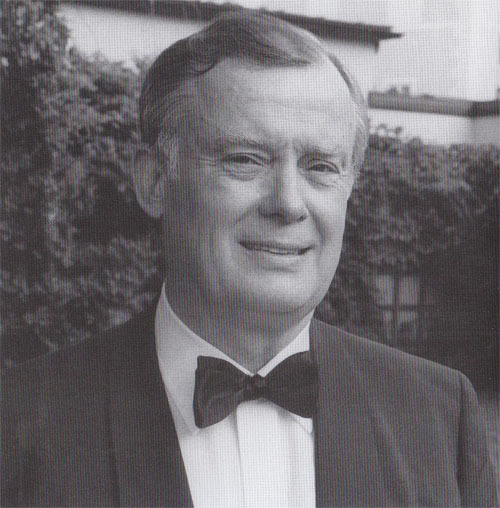 The American James King, who has died aged 80, was among the foremost heroic tenors of the latter part of the 20th century, particularly noted for his singing of the strenuous roles in Wagner and Richard Strauss operas. At a time when such singers were in very short supply, he was in continuous demand, extending a busy career well into his 60s. Born in Kansas, he was brought up by poor parents, a hard-drinking Irish father and a mother of German descent. Music caught his ear as he listened to popular singers on the radio, such as Nelson Eddy and Grace Moore. From the age of nine, he learnt the violin and sang in church choirs. After wartime military service, he studied at Louisiana State University with Dallas Draper, who made him learn languages in addition to singing. A baritone at that time, he sang major roles for the opera department. After graduation in 1949, King taught for nine years at the University of Kansas City, where he gave recitals. In 1956, realising he was a tenor, he retrained, notably with the baritone Martial Singher, to whom he said he owed the inception of his career. After a sabbatical devoted to study, in 1960 he became resident tenor with the Saint Louis Municipal Opera. From then on, his rise was swift. His real break came in May 1961, when he sang Don José to Marilyn Horne's Carmen at the San Francisco Opera to notable acclaim. Bacchus, in Strauss's Ariadne auf Naxos, soon to be one of his most important assumptions, followed at the Cincinnati summer festival. Then, after an exhaustive audition singing many arias, he was asked to join the Deutsche Oper, in Berlin, as principal tenor. In his first year there, he sang 50 performances of an extensive repertory, including his first Florestan, in Fidelio. In 1963, he sang his first Lohengrin, destined to become one of his favourite and most successful parts. That year he also made his debut at the Vienna State Opera. Bacchus was his debut part, and he sang it again in Munich in 1964, the year of the Strauss centenary. King was ideal, managing to be Ariadne's heroic rescuer, while suggesting the slightly ridiculous element in the part. His strong, trumpet-like voice was perfect for a role he sang for many years, notably in 1972, when the Bavarian State Opera visited Covent Garden. Back in Berlin he also undertook the Emperor, in Strauss's Die Frau ohne Schatten, another taxing part for a tenor. King was totally unfazed by its high tessitura and exigent demands on his voice. He sang it with success at both the Metropolitan and Covent Garden. Another role in which he excelled was Apollo, in Daphne. All these evinced the extraordinary stamina of King's vocal makeup. In the following months he also sang, for the first time, Calaf in Turandot, the title role in Don Carlos and Siegmund in Die Walküre, which he also sang at his Bayreuth debut in 1965 (and recorded under Solti). That became one of the most noted of his Wagnerian assumptions, along with his Walther, in Die Meistersinger and Parsifal. By this time, he had moved from Berlin to the Bavarian State Opera in Munich, where he remained for the rest of his career. His Metropolitan debut came in 1966 as Florestan, and he sang intermittently at Covent Garden in his Wagner and Strauss roles, 1966-76, though the main part of his career was on the continent. Italian parts such as Canio, in Pagliacci, Manrico, in Trovatore, Radames, in Aïda, and Otello featured in his repertory, but he tended to be asked more and more for his German parts. In his later career, he was admired as Pfitzner's Palestrina, Aegist in Strauss's Elektra, Captain Vere in Britten's Billy Budd (San Francisco, 1985), Paul in Korngold's Die Tote Stadt (Berlin, 1983), and the Drum-Major in Berg's Wozzeck (Vienna 1981, Covent Garden, 1984, Metropolitan, 1990). Although he never officially retired, his career effectively ended in the mid-1990s, after which he continued the teaching he had already begun part-time at the University of Indiana. King's long and successful career was based on the solidity of his singing allied to innate musicianship. Although he never gave an overwhelming performance, he could always be relied upon to deliver a thoughtful and reliable one. He was perhaps best suited by Florestan, Lohengrin, Parsifal and Bacchus, all of which are preserved on disc. Today, when his kind of voice is even harder to find, his achievement seems in retrospect all the more significant. 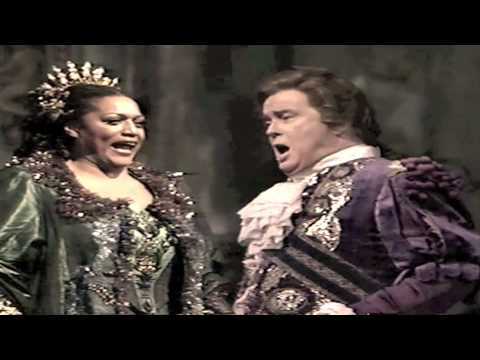 James King, an American heldentenor whose bright, ringing voice and fluent high notes captivated critics and audiences in leading European opera houses in the 1960's, died on Sunday in Naples, Fla., where he had retired. He was 80. The cause was a heart attack, according to Indiana University, where he taught music and voice from 1984 to 2002. His death was first announced by the Vienna Staatsoper, of which he was an honorary member. It was also noted by the Deutsche Oper in Berlin, where he had his first resident appointment in 1962 as a nearly unknown singer from the United States, and at the Metropolitan Opera, where he took on some of the most challenging tenor roles. Mr. King won acclaim for roles by Richard Wagner and Richard Strauss, composers in whom he specialized. 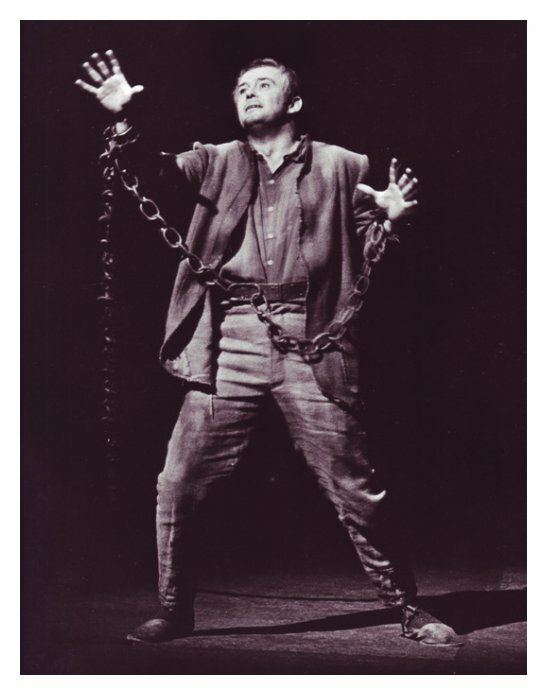 At the Met, he made his debut in 1966 as Florestan in Beethoven's "Fidelio," the first of 113 appearances there. He set records for the most performances in two particularly demanding roles on the Met roster, Bacchus in Strauss's "Ariadne auf Naxos" and the Emperor in "Die Frau Ohne Schatten," a role he sang in the opera's Met premier. Met audiences also heard him in works by Berg, Bizet, Britten, Puccini and Wagner. His final performance was in 2000 at Indiana University in a production of Wagner's "Walküre," in which he took the role of Siegmund. 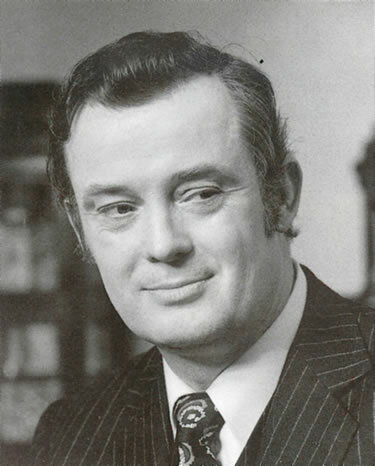 James King was born in Dodge City, Kan., to an Irish father and a mother of German descent. As a boy he learned to play the violin and sang in church choirs. He studied music at the University of Missouri, Kansas City, earning a master's degree, and started out as a baritone before training as a tenor with Martial Singher in New York, and with Max Lorenz. Keeping a baritone quality in his lower notes, he acquired a distinctive, recognizable timbre that assured him a long career. His voice was described as strong and dependable, with the stamina to sustain him in longer dramatic roles, and his six feet of height added impact to his performances. Howard Klein of The New York Times, welcoming him as the Met's Florestan in 1966, hailed him as "among the few tenors around today who can fill the role" and still have "plenty of voice to spare." 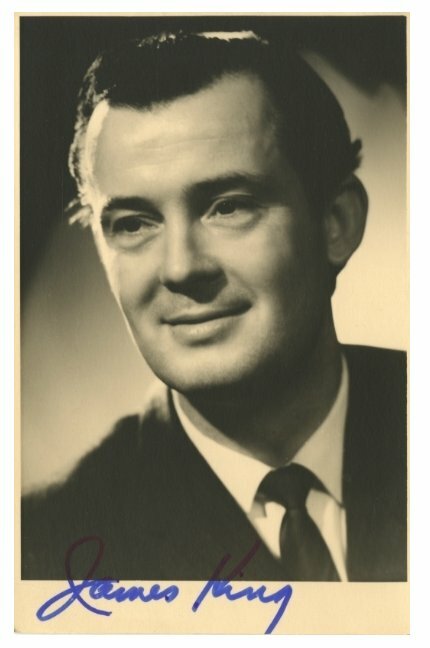 James King won an American Opera Audition held in Cincinnati in 1961 and went in search of a career in Europe, as did many budding American singers at the time. His professional debut was as Cavaradossi in Puccini's "Tosca" at the Teatro della Pergola in Florence. He repeated the role at the Teatro Nuovo in Milan, gaining his first resident appointment in Berlin with a debut as the Italian tenor in "Der Rosenkavalier." Over the years he also sang at London's Royal Opera House, in Salzburg and at the Bayreuth Festival; and in Cincinnati, San Francisco and Philadelphia in the United States. He starred in German opera films, regularly sang in radio and television productions of opera, and made recordings under Sir Georg Solti and Karl Böhm. His survivors include his third wife, Elizabeth; three sons; and two daughters. This interview was recorded at his hotel in Chicago on December 9, 1988. Portions (along with recordings) were used on WNIB in 1989, 1993, 1995, 1997, and 2000. This transcription was made and posted on this website in 2012.